Because my wife is an avid gardener, I often go with her to local flower shows. 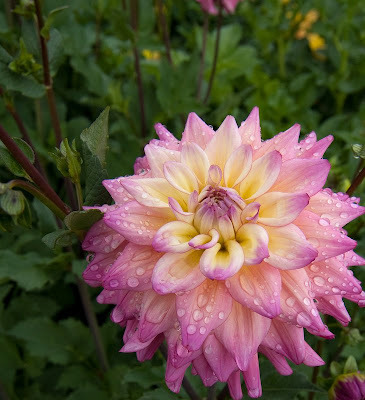 That's one of the perks for those living in the Portland, Oregon area -- plenty of spectacular flower shows. 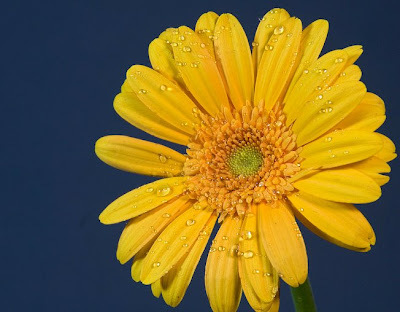 Taking pictures of flowers soon gives way to experimentation into better and more creative ways of photographically capturing nature's never ending varieties. I soon discovered that my most appealing pictures were of the flowers I took early in the morning -- just after the flower beds had been watered. Those dew-drop size water droplets gave my images more "pop" and interest. 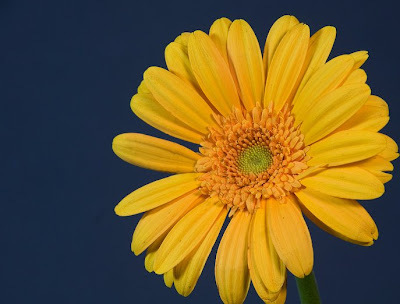 The flower in the picture above was taken on my desktop studio. It catches the eye and is sharp enough to show every detail. However, to me, it looks like a typical flower picture. This is where my experimentation began. But it's the look of this second picture that I find more appealing. The rain drops add more interest to the picture to hold the viewer's attention. So is there a simple technique for achieving the same results in the field? Stealing the gardener's hose -- which was never long enough. I finally came upon a simple solution that I now carry with me every time I go into the field. That's my secret, portable rain shower. I found that a used and cleaned nasal spray bottle has all the benefits of Mother Nature without the uncertainty. The bottle is only 3 inches high by 2 inches wide. It holds about 2 ounces of water and is leak-proof. Best of all it produces a fine mist of water that is controllable and exactly mimics rain or heavy dew. It fits neatly in my pocket or camera bag and is always close at hand. And no one has ever been concerned when I spray a mist of water on their flowers. I close this tip with the picture above. I took this picture while at a flower show using my water-loaded, nasal spray bottle. The technique gives flowers that extra little spark of interest that intrigues the viewer. I hope this tip comes in handy for you as well. 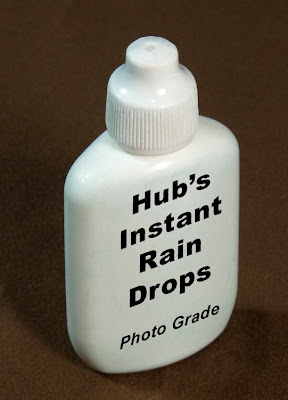 I love Hub's Portable Raindrops, very clever. Thanks for the tip. Thats really clever! I really wonder how they do that shot... now i know..
ived been practicing it from time to time.., getting the dew shots in the morning and by your blog i can do it even at late in the afternoon! thanks for the tip. very clever.